Our famous peanuts blistered and salted for delicious snacking. 10 oz. 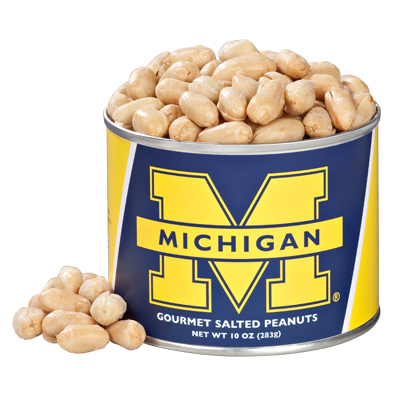 can with University of Michigan label. Peanuts, Certified Non-GMO Expeller Pressed Soybean Oil and Salt. 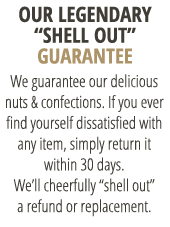 Contains: Peanuts. Manufactured on Equipment that also Processes Peanuts, Tree Nuts, Soybean, Wheat and Milk Products.